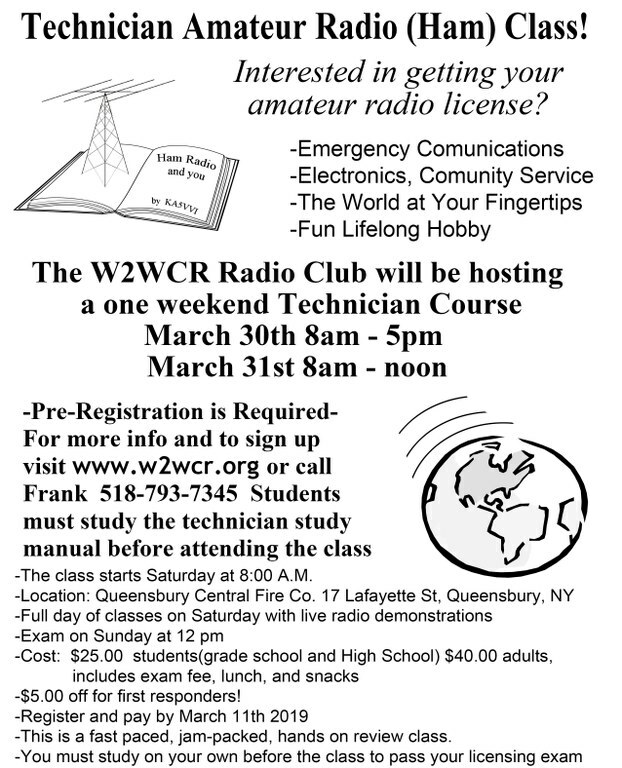 Check out the info below on our Technician Class Amateur Radio Weekend Course. The Warren County Radio Club holds two sessions of technician classes each year. It is our pleasure to help educate and usher in new ham radio operators. Our March 2019 class was a great success! We would like to thank the instructors and VEs who helped make it happen. Our next class will be in October of 2019. Below is the flyer for our past event in March. We will get a new one out to everyone as soon as we confirm the date and location. If you want to get a head start you can pick up the book and get started!!! The new location is below and only about 1 mile from the Fie Station where we usually have it. Our class is 1 1/2 days of review with a testing session at noon on the second day. You will need to do some studying on your own the weeks before class and it is suggested to take some online tests before the weekend class begins. During the class we will discuss and explain some of the key topics you will need to pass the test. We will go over some of the questions you may see on the actual test. Please purchase and read through the Gordon West Technician Class book before the class and write down any questions or difficult subjects you happen upon. We will gladly cover those topics more thoroughly during the class to help you gain a greater understanding of the subject matter. Breakfast, lunch and the test fee is included in the class fee. Looking to get started right away. 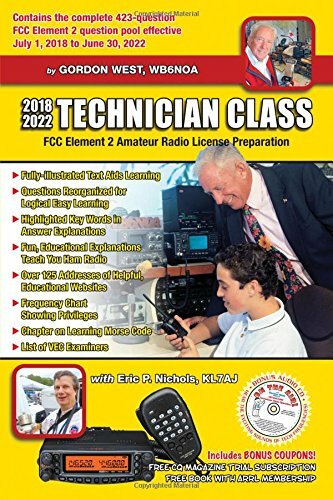 Below is a picture of the technician class book by Gordon West. To be successful in the class, and in passing the Technician Class license, we strongly suggest you purchase this book and read through it. It is OK if you do not fully understand some of the concepts. That's what we are here for. Bring any questions you have to class and we will go over the material with you. We also suggest you take some practice tests online before the official test at the end of the class. Look it up on amazon or your favorite book store. Be sure to get the most recent edition because the test questions change every 4 years.